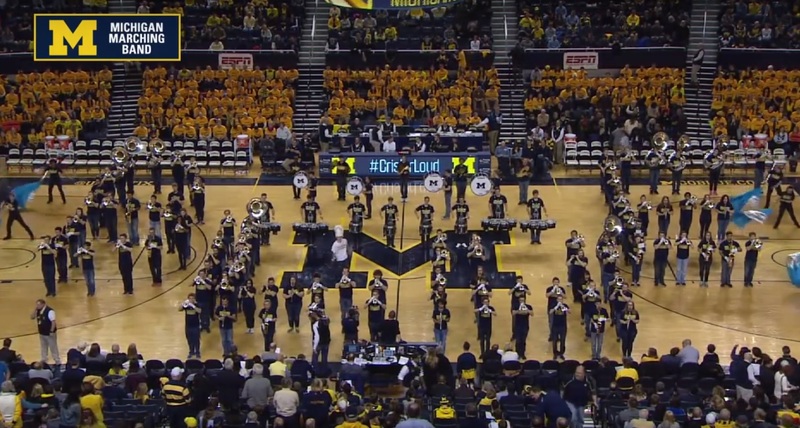 The Michigan Marching Band took their talents to the basketball arena and once again impressed fans with their fantastic sound. Earlier this year they continued the tradition of playing at a hockey game like many other bands across the country. Seeing bands play in multiple arenas throughout the year on campus is a great way to keep the band family together and provide fans with unique interaction opportunities. Great work Wolverines! Share and enjoy!